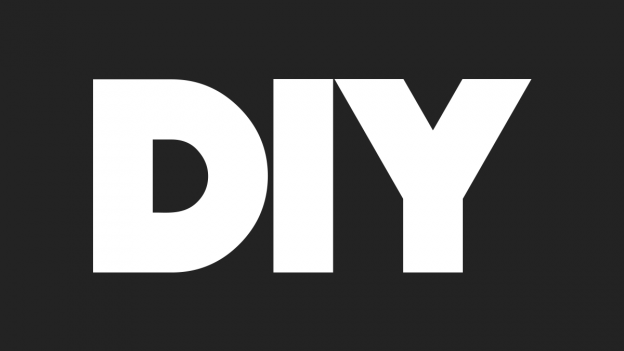 Planning a DIY Fundraiser requires you to think ahead about how to reach supporters, which options you’ll offer them, and the resources you can provide to help them reach their peer-to-peer campaign goal. In order to do so, make sure you follow these four simple steps: set reasonable expectations, choose a focus and campaign type, and decide what resources you’ll provide. What's the nature of your program? Is it fun and catch, or is it more serious in approach and commitment? Is it something that most everyone can do, like walk, or is it something only a smaller set can do, like create a wedding registry? How many passionate supporters can you tap into to start out? How will you nurture and work with them throughout the campaign? Look at examples of what other organizations are doing. A simple Google search of like‐minded organizations will give you more examples than you know what to do with. If your organization works to help the environment, for example, search other environmental organizations to see what they’ve done and/or are doing. Keep your mission in mind, and make your program organic to your mission. Here’s where the creativity really kicks in: think bake sale for food organizations, shower strikes for water organizations, and so forth. The possibilities are endless. You know your organization better than anyone. Take some creative license and put that knowledge to good work. Understand what your tolerance is for maintaining a presence. Is this a month‐long event like Movember, or a longer‐term project like a year‐long brown‐bag lunch campaign? As you plan your campaign, it can be helpful to further define three distinct types of fundraising under the DIY model: restricted, choice, or open. Restricted peer to peer fundraising campaigns allow the participant to select many options, but those options are limited to a single time frame, theme, or some other element. A great example of this campaign type is an organization like Sierra Club or Save the Children that has a system in place to let couples raise funds as their wedding registry. Couples can do so at any time and can include their own messaging, but the theme is around wedding registries — a one‐time event. The advantage for the organization here is that it can tailor its coaching and guidance emails and messaging to help supporters make the most of wedding registries as a fundraising event. Other examples include a bake sale or a brown bag lunch at work. Choice campaigns provide a menu of options — instead of providing resources for a single option, nonprofits may offer their supporters a range of P2P fundraising options. Following the example in the preceding section, the organization can offer options such as a wedding registry, a birthday‐related fundraiser, or a bar mitzvah — your participants pick the one that fits their needs and then receive messaging specific to the type of events they’ve selected. Another example is a health-related organization offering the fundraiser the option to walk a certain number of miles, exercise a certain amount of days, or eat a certain amount of healthy meals. This campaign gives the supporter more freedom but puts more of a burden on the organization to craft messaging and branding for each of the paths because specific coaching should be developed for each specific campaign. Open campaigns are basically a free‐for‐all (your fundraisers can do whatever they want), the only caveat being that the supporter uses the fundraising system and materials of the organization. This is a great way to tap into the creativity of your supporter base, but makes it more difficult to provide the right type of coaching, messaging, and encouragement along the way. Because you have no idea what your participants are doing, keep your coaching to a high level and limited to best practices. You can’t tell them how to promote their specific event since you don’t know what it is. You can, however, provide them with resources to use and how best to use them. As an example, post the event to social media, post updates on progress, and remember to thank donors. In order to facilitate a successful DIY campaign, make your fundraisers’ work easier by providing them a how‐to guide or pointers or tips and tricks that allows them to spread the word about their P2P fundraisers. The guide could include pre‐written social media posts, hashtags, images, videos, and so on. It might also include keywords and taglines and emphasize the kind of messages that work. If necessary, include step‐by‐step instructions for using social media apps, posting video from phones, and so on. For the less social‐media savvy among your targeted supporters, spend some time coaching them on the power of viral messages, what hashtags are, how to share pics on Instagram, and other basics. When it comes to training your savvier supporters, you can focus less on the why and how, and more on what to say and when. Sharing examples of posts and messages that have worked in the past is a great way to do this. As you’re providing resources, remember to make fundraising for your organization fun and rewarding. 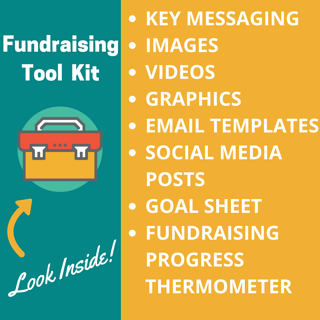 You might, for example, create campaign‐specific fundraising “thermometers” and other graphics that can help fundraisers show their progress. You might also show your appreciation with gifts such as T‐shirts, stickers, or other themed giveaways. These items can be used as incentives when your fundraisers reach certain milestones.